Regional Tyre and Exhaust Ipswich are a local family run car care centre with two generations working in the business today servicing the needs of Ipswich and the surrounding areas motorists. 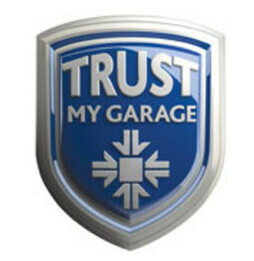 We are proud members of the 'Trust My Garage' network and the Retail Motor Industry Federation (RMI) assuring our customers both existing and new that our workmanship can be trusted and is guaranteed. We are endorsed by the AA as a quality independent garage and repairs centre. We guarantee to offer a professional service at an affordable price with no unexpected bills at the end. We are here to help with all your car repair needs to keep you on the road and safe while keeping costs low at all times. We can help with everything to keep you on the road including offering you a courtesy car free of charge (subject to availability and booking) and all types of work from oil and filter changes to annual service. We also offer replacement tyres and exhausts along with yearly MOT test and specialise in air conditoning repair and servicing. If you are concerned about your cars cosmetic appearance we can refurbish alloy wheels and repair body damage. "My family have been taking our cars and trucks to Dean at Regional Tyres and Exhausts since around 2001...."